Hello Beauties! I hope you're all well and had a lovely weekend. I spend this weekend just catching up on all of the little errands I had to run and then scheduled in some 'me time' as it's been the longest time since I sat down and had a little pamper! Now that I work full time and spend most weekends visiting friends, I've found that I've been spending a lot more time wearing makeup as I have something on my skin most days now, which has really taken it's toll on my skin. 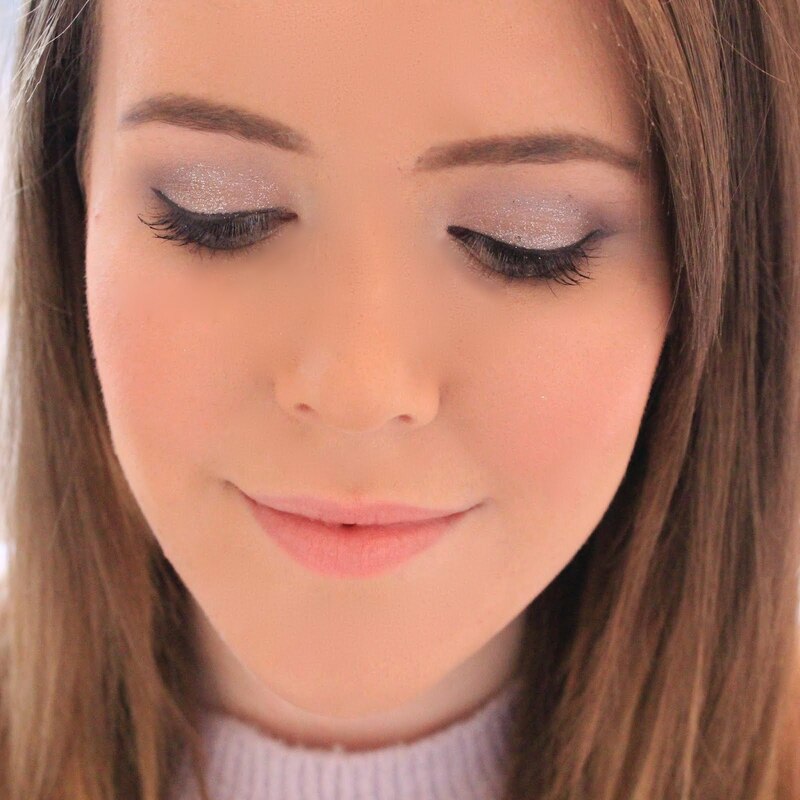 I've noticed that I've been suffering with more breakouts and that my skin has generally been looking a little lack lustre (probably from all the early starts!). With that in mind, I've been making a conscious effort to look after my skin a little better and invest in a good skincare routine, starting with exfoliation. Lord knows I'm an exfoliation junkie - I love the smooth feeling of my skin after exfoliating and the idea that I'm clearing out all of the junk in my pores after a long day at work. 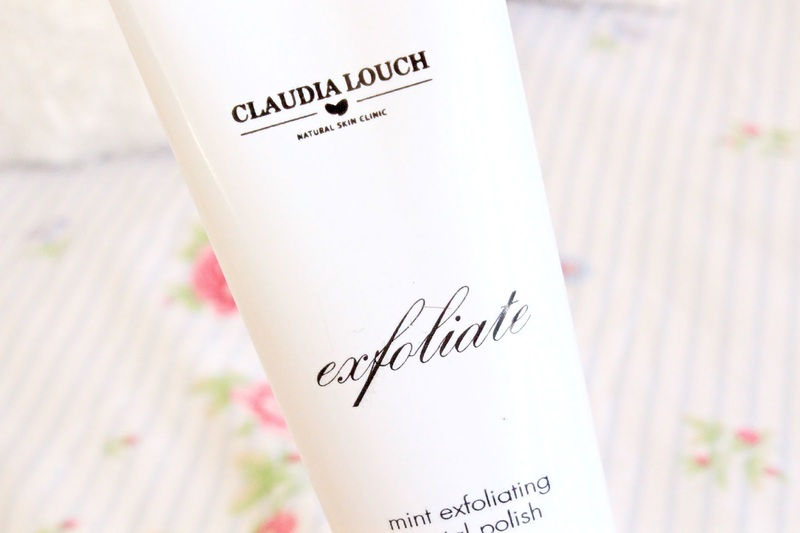 My recent weapon of choice has been the Mint Exfoliating Facial Polish by Claudia Louch, and I've been noticing some real differences in my skin. This product is brand new to the Claudia Louch line and is derived from sugar, to give you a mild deep cleanse - exactly what I look for from my exfoliators. I have quite sensitive skin, so I wouldn't want to use anything too harsh on my skin, but I still like to know that my exfoliator is well, exfoliating. The product contains a whole host of natural ingredients and plant extracts such as apricot oils, lemon, apple, aloe vera, green tea, sugar cane, seaweed and many more, making it brilliant for your skin. Since I've started using this instead of my normal budget exfoliator, I've noticed that my skin has been a lot clearer, brighter and my skin tone has been more even. I've tried a lot of exfoliators in my time (mainly because most of them cause an allergic reaction) and this is by far the best exfoliator I've used. It is extremely pricey at a whopping £59 but as I'm getting older, I'm starting to realise the benefits of a great skincare routine. If you have sensitive skin but still want to feeling of a deep, exfoliating clean then I'd highly recommend this. The mint is extremely cooling and refreshing, but the apricot oils and aloe vera ensure that your skin is left feeling soft and calm, which is exactly what I look for in an exfoliator. Overall, I'm extremely impressed with this product and will definitely be looking to buy more from the Clauda Louch range as hopefully, all of her products will have the same outstanding results! pricey indeed, but I find the same. As we get older we need to invest in things that work better! I have never tried anything from this brand....but my goodness do they sound good!